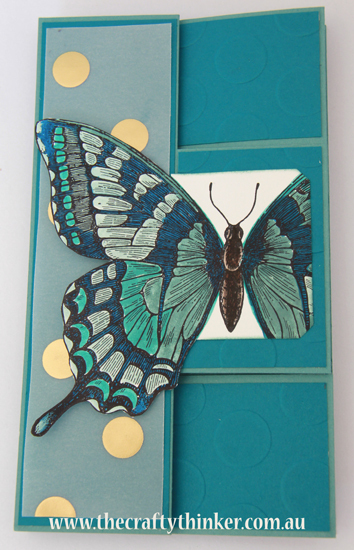 Today I'm continuing my journey with the gorgeous Fancy Foil Designer Vellum and I've paired it with the Swallowtail stamp - which always adds instant wow! 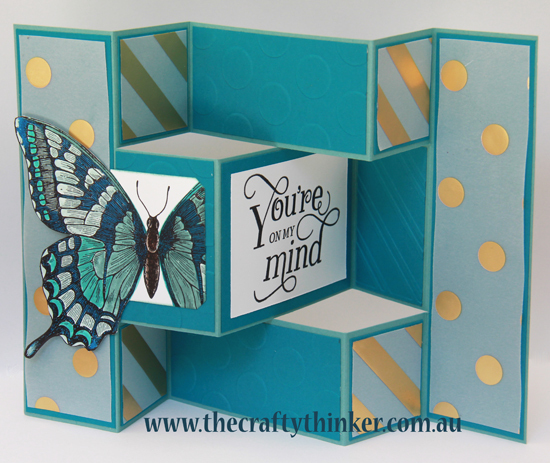 And - who doesn't love a Tri-fold card? 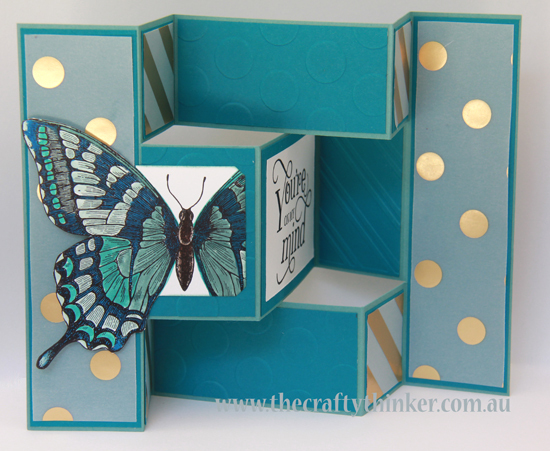 I've taken the dot and diagonal themes a step further by using the Large Polka Dot and Stylish Stripes embossing folders. The greeting is from the That Thing You Did stamp set, stamped in Basic Black. I used the Out of the Box technique to cut out the butterfly using one of the Chalk Talk framelits. The edges are inked with Lost Lagoon ink. The colours I used are Lost Lagoon, Island Indigo, Pacific Point, Bermuda Bay, Soft Sky, Tip Top Taupe and Chocolate Chip. Thank you for visiting today, I hope you like the card. If you would like to purchase supplies from my online store, click on the images below.